Delivery of goods from China to Vladivostok - one of the most promising and rapidly developing areas of the company "Association of Customs Brokers." According to official statistics, China is considered the main partner of the Russian Federation in the field of foreign trade: in 2016 the trade turnover amounted to almost US $ 18 billion. Celestial ranked first in the world in the export of textiles from natural materials - silk and cotton, and electrical and mechanical engineering products in China is about 20% of the total export of goods - household appliances, automotive and shipbuilding equipment for metal processing machines. 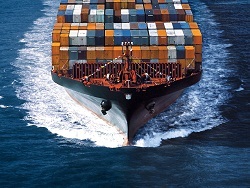 Sea - the most relevant method of transporting large consignments of equipment and raw materials. Marine transport of goods from China, the price of which is minimal, is characterized by high levels of marginality, but has natural limitations of geography and efficiency. Rail - recognized as the best way of transportation of industrialized northern, eastern and north-eastern parts of the country via the Trans-Siberian Railway and Harbin. Railway delivery of goods from China is advantageous when large quantities of bulky goods - transport prices even at the greatest distances are compensated for regular communication and independence from environmental factors. 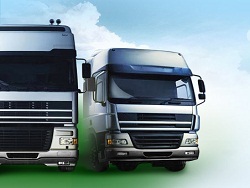 Road transport - traditionally considered the most reliable way of sending high-value goods. Route of columns passes through Kazakhstan, on the territory of which the customs clearance. Characterized by a higher responsiveness of delivery than the transport by rail, and a lower cost than air. An important advantage of road transport for many companies is the option of delivery of cargo from door-to-door receiver. By air - the optimum solution for the transportation of goods with a high turnover and / or a limited shelf life. Especially popular with companies specializing in the supply of expensive electronics latest models, which should appear on the shelves of retail outlets by a certain date. The main disadvantage of air transport is rather high cost of transportation. High quality service is provided by the profile qualifications and experience of staff "Association of Customs Brokers" in the field of foreign trade rights of the Russian Federation and logistics in the region. A distinctive feature of the company is the tailor-made solutions, developed by experts of the "Association of Customs Brokers" in view of the budget and preferences of each customer.